Put all ingredients in a blender with 1/4 cup water and 3 ice cubes and blend for 30 seconds. 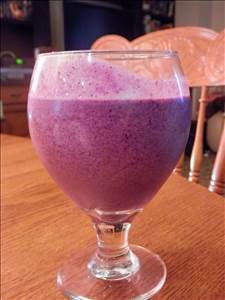 There are 375 calories in 1 serving of Blueberry Protein Smoothie. Calorie break-down: 50% fat, 29% carbs, 21% protein.